Glasgow Angling Centre is excited to announce a new Limited edition Hardy Fly reel to commemorate the life of James Leighton Hardy, the last member of the Hardy family to work at the company his grandfather started in 1872, who sadly passed away in July 2012. Demand is expected to be high for these reels with only 85 being made by the craftsmen at the Alnwick company. 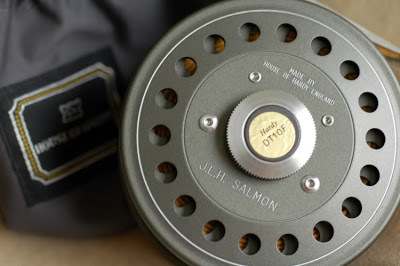 This Hardy Limited Edition JLH Commemorative Fly Reel has been produced to commemorate the life of the late James Leighton Hardy, for whom the JLH reel was named. The reel is based on James Leighton Hardy’s original ‘JLH’ design, and features a wide ranging click check system, stunning ‘Rose Gold’ finish and unique commemorative engraving. The limited edition of 85 numbered reels has been shipped to a selection of Hardy dealers for sale across the world. James Hardy was the last member of the Hardy dynasty to work for the company that his grandfather had founded. Born in Alnwick in 1927, Jim started fishing at the age of 7 and became a very successful angler, winning no less than 38 British and world casting championship titles. After an apprenticeship at Vickers-Armstrong, he joined the company in the early 1950’s and was appointed works director in 1959, leading the firm’s search to develop new materials – a quest which resulted in Hardy’s pioneering range of carbon fibre rods. Jim was also responsible for reel development and introduced one of the firm’s most famous products, the Marquis range, in 1970. 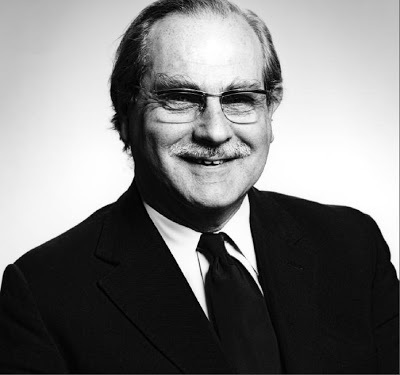 After the takeover by the Harris and Sheldon Group, he took on the role of Marketing Manager and toured the world promoting Hardy products, during a period in which the company won numerous design awards. He retired in 1992 and remained a consultant to the Company until his death. The original JLH reel was introduced in 1991, the year before Jim retired and was a piece of classic design that reflected the exacting standards of its namesake. The original range comprised six reels, ranging from a diminutive 2⅞” trout model to a mighty 4″ salmon reel and it was one of the first reels that Hardy manufactured from bar-stock alloy, which made it possible to build light, but incredibly strong components which were perfectly matched to carbon fibre rods. The 1991 reel was the natural successor to the Lightweight range, built since 1936, and it brought the concept up-to-date with an exposed rim, optional left or right hand wind, and a reversible nickel-silver line guard. The range was so popular that it was updated several times, the most significant modifications being the introduction of a powerful disc drag in 2000 and a large arbour range in 2003.
is that the price is a bit high : +- 1115€.